Vermont is a state in the New England region of the northeastern United States. Vermont is the 6th least extensive and the 2nd least populous of the 50 United States. It is the only New England state not bordering the Atlantic Ocean. Lake Champlain forms half of Vermont’s western border, which it shares with the state of New York. The Green Mountains are within the state. Vermont is bordered by Massachusetts to the south, New Hampshire to the east, New York to the west, and the Canadian province of Quebec to the north. Vermont is the leading producer of maple syrup in the United States. The state capital is Montpelier, which has a population of 7,855 and is the least populated state capital in the country. Vermont’s most populous city is Burlington, with a 2010 population of 42,417 within its metropolitan area of 211,261. Vermont’s major industries include tourism, quarrying, and manufacturing. Names of Vermont corporations must be distinguishable from any registered or reserved name or any entity or trade name. Company Express will research your company name to make sure it meets Vermont’s standards. Minimum number: Corporations must have three or more directors, unless the number of shareholders is less than three. Then the number of directors may be as few as the number of shareholders. 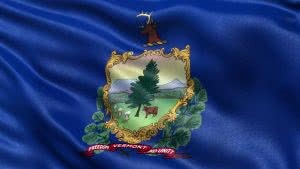 Corporation’s principal office has be located inside the state, local registered agent also required in Vermont. Time to file: Corporations in Vermont are required to file an annual report during the six-month period ending the last day of the anniversary month of the company’s incorporation. The state filing fee is $25. Names of Vermont Limited Liability Companies must be distinguishable from any other reserved, registered, entity or trade name. Company Express will research your company name to make sure it meets Vermont’s standards. LLC’s principal office tmay be located outside of Vermont, but local registered agent is required. Time to file: LLCs in Vermont are required to file an annual report within 2 1/2 months after the end of the LLC’s fiscal year. The state filing fee is $25.